As we start to prepare for Christmas (gasp! YES! It's time to do that already! 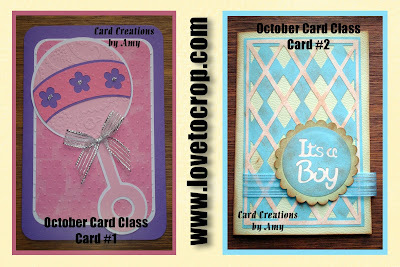 ), I've had several requests for cards for everyday events -- like BABIES!! :) Now, who doesn't want to celebrate babies??? If you, like me, never have a card on hand for the baby shower or birth, then here's your chance to be prepared! The Baby Girl card features a Baby Rattle from the New Arrival Cartridge -- It was cut at 5.75" and was textured using Cuttlebug embossing folders (Paisley and Swiss Dots). 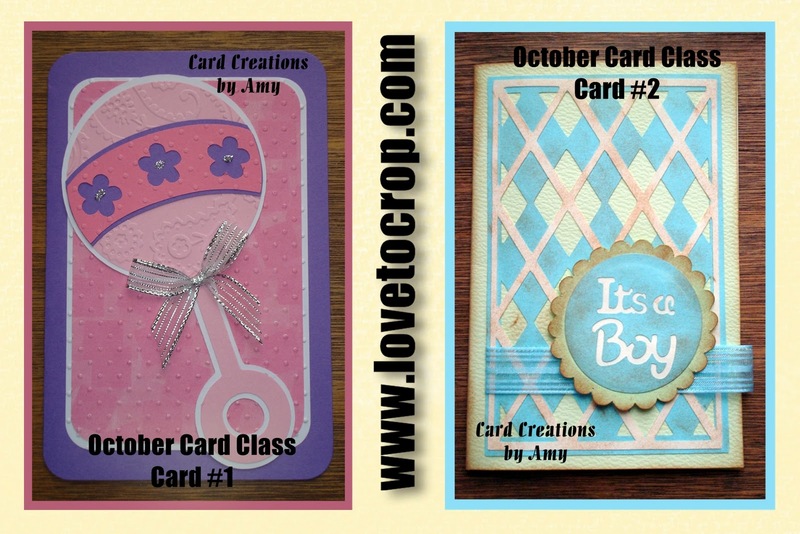 The Baby Boy card features a 'button' made using the New Arrival Circle feature and the scalloped circle (I used the Hide Contour feature on my Gypsy to remove the lace effect from the scallop). The Argyle background can be found on the Wild Card Cartridge (I L-O-V-E the Argyle!). The entire card has been distressed with Creative Memories Brown Chalking Ink. I really like how it really made the card pop.